Cristian Mandeal has worked with many of the world’s leading orchestras, including the London Symphony Orchestra, the London Philharmonic Orchestra, the Royal Philharmonic Orchestra, the BBC Symphony Orchestra, the City of Birmingham Symphony Orchestra, the Royal Liverpool Philharmonic Orchestra, the Bournemouth Symphony Orchestra, Staatskapelle Dresden, Staatskapelle Berlin, Münchener Philharmoniker, Symphonieorchester des Bayerischen Rundfunks, Vienna State Opera Ochestra, Orchesters der Deutschen Oper Berlin, the Czech Philharmonic, the Prague Symphony and Prague Radio Orchestras, the Israel Philharmonic, Orchestre Nationale de Belgique, the Orchestra dell’Accademia Nazionale di Santa Cecilia di Roma, the Orchestra Sinfonica Nazionale della RAI di Torino, the Orquestra Simfònica de Barcelona i Nacional de Catalunya, the Gulbenkian Orchestra, the Gothenburg Symphony Orchestra, the Philharmonic Orchestras of Tokyo, Sao Paulo, Ciudad de Mexico, Helsinki, Monte Carlo, Copenhagen, Moscow, Warsaw, Sofia, Belgrade, and Zagreb, just to name a few. Cristian Mandeal has participated in many festivals including the Edinburgh Festival, the Prague Spring Festival, the Bloomington Festival, the Tivoli Festival, the Quincena Musical in San Sebastian, Festivals in Istanbul, Ankara, Athens, Thessaloniki, Lisbon, Brescia-Bergamo and Ravelo (Italy), Brno and Bratislava, the Janacek Festival Ostrava, the BEMUS Festival in Belgrade, the Tokyo Spring Festival, etc. Among these, it is important to mention the “George Enescu” International Festival and Competition, for which he was Artistic Director in 2001 and 2003. He has collaborated with some of the world’s leading soloists, including Radu Lupu,Kristian Zimerman,Maxim Vengerov, Vadim Repin, Julian Rachlin, Victoria Mulova, Isabelle Faust, Ileana Cotrubaş, Renato Bruson, Mstislav Rostropovici, Alicia de Larrocha, Ivo Pogorelici, Bruno Leonardo Gelber, Nelson Freire, Gerhard Oppitz,Grigori Sokolov, Boris Berezovski, Ivry Gitlis, Leonidas Kavakos, Shlomo Minz, Frank Peter Zimmermann, Maurice Andre, Yefim Bronfman and many others. As a symphonic and operatic conductor, Cristian Mandeal conducted hundreds of concerts in over 36 countries, his music making inspiring audiences worldwide. Cristian Mandeal commands an extensive repertoire, with a special focus on the music of the nineteenth and early twentieth centuries. He has conducted over sixty premiere performances of works by both Romanian and foreign composers, including some personally dedicated to him. He is a tireless promoter of George Enescu, whose music he has made known around the globe. In particular, it was he who first introduced the opera Oedipe to audiences in the UK (Edinburgh Festival, 2002) and Italy. Since 2008 he has been president of the Enescu Society of London. Among over 25 CDs, totalling over 60 titles, he has recorded sixteen albums with the George Enescu Philharmonic for BMG Ariola, including the complete orchestral works of Brahms in nine albums, issued in Germany and the United States in 1996 for the centenary of the composer’s death, and the complete orchestral works of George Enescu in seven albums. Bruckner’s 9th Symphony recording with the Hallé Orchestra has been acclaimed as the best recording of Bruckner’s music by any British orchestra. He has also recorded six DVD albums with the George Enescu Philharmonic for AIX Records. Nominated as one of Romania’s 10 most influential people and awarded with the country’s highest accolades for his cultural activity and service, Cristian Mandeal was born in 1946 and graduated from the Brasov Musical High School prior to enrolling at the Bucharest Music Academy, where he studied conducting, piano, and composition. He later studied with Herbert von Karajan in Berlin (1980) and with Sergiu Celibidache in Munich (1990). In 1977 he was appointed permanent conductor of the Tirgu Mures Philharmonic Orchestra, a post he held for three seasons. 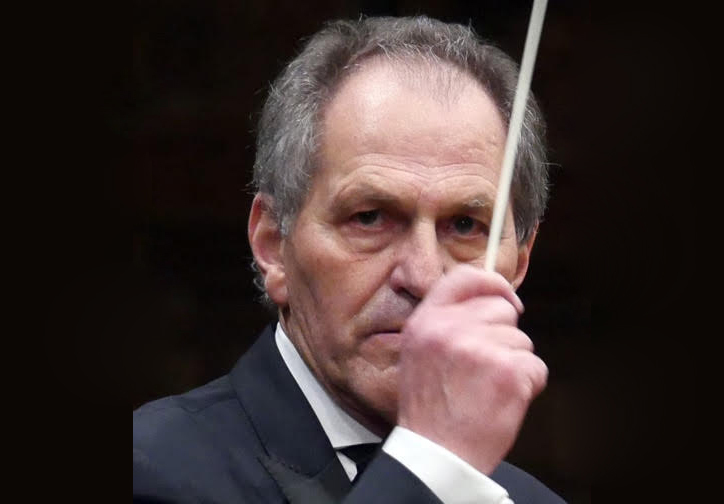 From 1980 to 1987 he was permanent conductor at the Cluj-Napoca (Transylvania) Philharmonic Orchestra. He has constantly been preoccupied with the education and encouragement of young musicians wherever they may be, and has been invited to give master classes at Bloomington and Rutgers Universities in the United States, the Royal Northern Academy of Music in Manchester in the UK, and the Tokyo College of Music. Over the last eight years, Cristian Mandeal has concentrated his efforts on moulding, educating, cultivating and nurturing the Romanian Youth Orchestra, which has risen in record time to be a worthy representative of contemporary Romanian musical culture. Throughout its national and international performances, the Romanian Youth Orchestra quickly established itself as a veritable ambassador of Romania.